Chalazion is the term for an inflamed hard lump, or raised area, in the eyelid, that occurs due to a blocked Meibomian. Meibomian glands are the tiny oil glands which line the margin of the eyelids. It’s the edges when touched, when you close your eyelid. These are the glands that secrete oil which coats the surface of our eyes and keeps our tears from drying out. A stye is the name given during the initial or acute phase of the infected gland, whereas a chalazion pronounced “KUH-LAY-ZEE-ON” is the residual chronic bump or lump that follows and lingers. It is usually caused by bacteria and usually the bacteria will grow in the root/follicle of an eyelash. If you are experiencing eye trouble at home, the most important thing you can do is close your eyes and massage a warm washcloth/compress over the blocked gland for 5-10 minutes for 3 to 6 times a day. This may help open- up the blocked gland and help to drain it. Do not squeeze the lump as it will only get worse. Let it drain and it will start to heal on its own. If the lump will not drain you can always call an eye Doctor and they will either lance it or give a mild medication. Don’t rub your eyes as most of the time our hands are dirty. This can irritate the eyes and let bacteria in…. SO wash your hands first. Protect your eyes from dust and air pollution when you can. Wear sun glasses or working glasses when working around dust etc…! 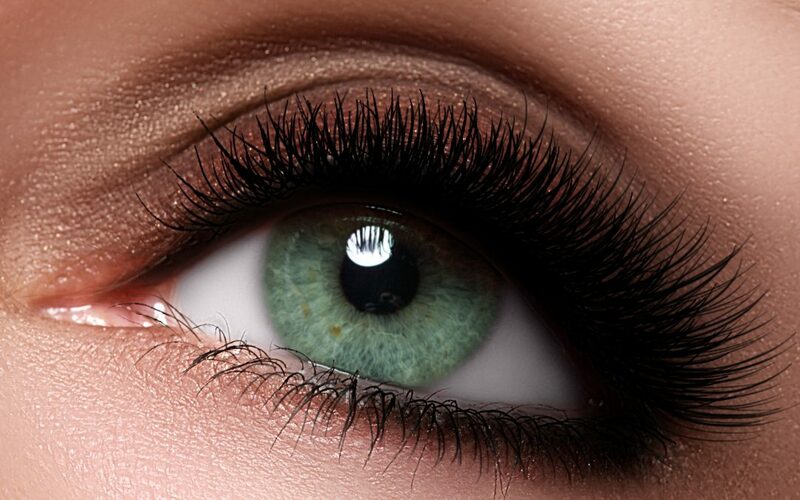 REPLACE your makeup, especially mascara (change out every 6 months), as bacteria can grow in makeup. Try to wash your face and eyes twice a day with a clean (zero toxin face wash…I like True Botanical Hydrating Cleanse or Tata Harper Purifying Cleanser. Both work very well! Bottom line…is to treat any inflammation right away. We need to keep our eyes healthy and preserve our vision!